Shared this to Facebook. Thanks again for using your voice (which is magnified by your audience) to get the word out on causes like this. I have a lot of admiration for people who are not themselves required to take a stand on issues but do nonetheless. One of the things that makes me proud to be in the fandom is the push for positive change I see from some of our more prominent authors. I've updated Sibel's page on Game of Thrones Wiki with a link to this post and transcript. A *major* problem on GoTWiki for years has been that random anonymous people, who never visited the site before or edited anything, would repeatedly pop up making their first and only post on Sibel's article....asking if we had any links to clips from pornographic movies she appeared in years ago under a stage name. I banned them out of hand for such questions but more come. Eventually I just locked her page to protect it and removed specific references, specifically because she said how upset she was when tabloids revealed her past. I grew up in Turkey, and I love Ms. Kekilli. She was a damned good Shae, and her words are wise. If you break from family, expect to pay for it. This is true in my family, which is well-to-do, educated. There, it's less sexist than it is a Stark wolf pack. Everyone, male or female, must act as a pack and obey the dictates of the leaders who, in our case, are women. If you want to be out on your own, you pay for it, as they will shun you. It won't be official shunning or "honor" killings, but it will happen, through inheritance being directed away from you, gossip being directed at you, reduced marriage opportunities for both men and women, etc. The not-so-bright side of "enlightening" Turkish women is the state of work in Turkey, as such moves almost always involve encouraging women to work outside the home. Unions are rare. Most men work in less than ideal conditions, with little protective gear, even in mines and factories. Hours are long, and wages are low. Something needs to be done, for the men as well as the women who might find themselves working in such places. Most women will not be doctors and professors. Middle class is small, the lower class legion, which is where I fear we are headed in the US, but that's another story. Thank you Sibel and GRRM. Domestic violence and VAW is a huge problem and it affects many. Survivors need support and the general public needs awareness and education. Thank you Sibel! It seems there is so much hate directed at Christianity, we have romanticized the Islam religion. The bigger message is that when we let fanatics (of any religion) dictate morality based on their interpretation of ancient texts, we're in big trouble. If a Christian blows up an abortion clinic, we need to call it what it is. If a bunch of Muslims throw acid in a girl's face, we need to call it what it is. Even Bill Maher is starting to come around on the subject, so that's saying something!! Speaking out against how women are treated in 'traditional Islamic culture' is all well and good, but in the modern European political context it seems to be used quite cynically by all kinds of noxious anti-immigrant reactionaries (Geert Wilders is a prominent example), without much actual concern for making things better for Muslim women. In fact, it often makes their situation worse, since increased societal Islamophobia goes hand-in-hand with hijabis/niqabis being harassed on the street. I've seen a lot of earnest feminist activists from Europe getting caught up in these schemes, and its very disheartening to see, because its a very important issue that doesn't deserve to be used to justify anti-Muslim hysteria. I'm not from Germany so I don't know much about the specific organisation Sibel is representing, but I hope they have put a lot of thought into how to responsibly convey their message and achieve their goals. George did you try a Bratwurst Sausage whilst in hamburg? They're delicious! George, thanks for highlighting Ms. Kikelli's advocacy on behalf of women. It's important work, and she has paid a heavy price for it. 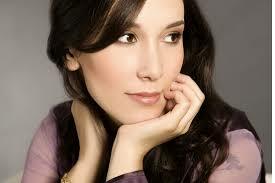 I really enjoyed Shae; Sibel Kekilli's acting brought depth and complexity to the character. It is nice to see someone who has the visibility being able (and willing) to stand up and be heard. Hurrah for people of conscience and courage, who seek beyond the narrow bounds of their own existence, to meet the needs of their fellowmen. Her performance in "Head-On" blew my away. The movie focuses deeply on the struggle of second generation Turkish-germans to balance a traditional heritage with the liberal values of central Europe. It's warming to see that performance came from an intimate place and that she has kept contributing to a solution even when many would rather swipe those problems under a finely woven kilim. As a middle-easterner, I appreciate the bravery of Miss Sibel. Taking a stand against Islam can result in a backlash from not only the muslim world, but the PC Western intelligentsia as well. I don't think Sibel's comments can be characterized as "taking a stand against Islam." She is talking about the treatment of women, and says several times how much she loves her culture. Read her words. Perhaps "stand against Islam" was a poor choice of words. However, it is no coincidence that she addresses the men in her society and calls Islam "merciless" for things like honor killings. These ideas don't appear spontaneously in a vacuum. From where else do these "traditions" come from if not religion? The men who are threatening her life are doing so out of a warped sense of morality. Also, I don't think one can equate Islam and culture in all (or any) middle-eastern countries. I like Sibel George, but I am a little tired of Westerners (or individuals who move from the middle-east to the West) conflating love of one's culture with love of Islam. There is much more to Turkish culture than simple extensions of Islam. There are many non-muslims living in the middle east, and they are just as Iranian, Turkish, Iraqi, etc as their muslim compatriots. Can't Americans criticize southern baptists and still be patriots? I can't tell you how many discussion I've had with family members (who have never read a page of the Koran in their life) criticizing the Iranian regime that start with, "I'm a believing Muslim but..." It's a very problematic attitude, in my opinion. Excuse my English, it is a second language for me and my fluency starts to fall apart in long discussions. She seems to understand many things and also care for these things and actually act upon them instead of simply focussing on career or work. That's a thing to admire. It's also admirable that she seems to enjoy life and humour quite a bit, though!